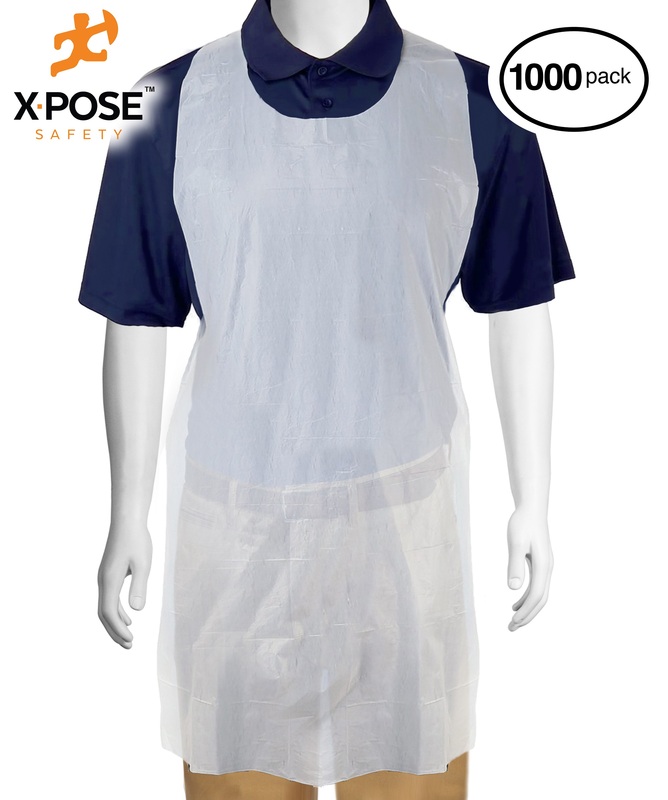 Home/Aprons/1000 White Plastic Disposable Aprons Individually Packaged - Durable 1 mil Waterproof Polyethylene - 24" x 42"
1000 White Plastic Disposable Aprons Individually Packaged - Durable 1 mil Waterproof Polyethylene - 24" x 42"
break whether you're indoors cooking our outdoors gardening. you will barely even feel or know it is there and you'll remain clean. and getting on your clothes as our aprons are 100% waterproof. no need to wash and maintain reusable's.